Get the Office space BACK! Our cost effective Moving & Disposal Services are not expensive! De-cluttering the OFFICE – Get your office space back! Office space in London is limited and expensive. The cost of every square metre of floor space used is crucial. Ask yourself & staff whether you need to keep the amount of stuff that is currently in your expensive office space. Moving to a bigger office or purchasing additional storage equipment is a pricey solution to create more space. A tidy and well-organised office encourages a creative atmosphere, improving productivity and profitability. Our business clients recognise the importance and the benefit of reducing the amount of unwanted equipment and resources within the office, including reorganising the furniture and layout to create additional space. 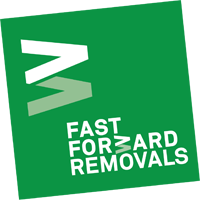 FFR offer a service whereby we can assist in removing any unwanted furniture, equipment, records etc. to create additional space. FFR have been moving businesses in and around London since 1979 and have a good understanding of positioning furniture within the office environment. Our staff are fully trained and experienced, they can move furniture & equipment into different rooms or any alternative position you request. Excess furniture, cabinets, unwanted goods etc. can be removed & legally disposed. PC’s or media equipment that are no longer required can be collected for VERY Secure Destruction. Paper Documents & Archive Records Secure Destruction. Please note: If you’re Moving Office this service can be included within your removal quotation. Our moving team can help you plan and assist with the disposal, recycling or donation of your unwanted items. For example, identifying these items and removing them before moving day can reduce stress, give more space for packing & preparation, and save valuable space on the removal vehicle. Please remember before your office throws anything away, there are charities & organisations that welcome & can re-use Office Furniture & Office Equipment. Email us with your list for disposal to get a quote and to arrange a collection. The best way to find out what you really need, is to get rid what you don’t! "My thanks to your great team, they worked really well throughout the de-cluttering of our old large office. I just told a colleague who is thinking about it, the best way to find out what you really need, is to get rid what you don't!"